love motivated Jesus Christ to abandon heaven’s glory. Love kept Him on the cross, paying for the sins of His beloved. What You Can Do: Dispense generous dosages of selfless, unconditional love to your kids. 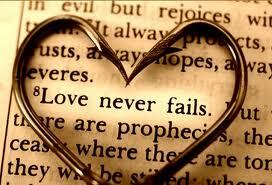 They need undiluted affection that consistently mirrors the qualities described in 1 Corinthians 13:4-7. Tell your children that God loves them—and you do, too. Validate the presence of God within you by finding creative ways to express love to them. Please share this link and ask your friends to share. Our journey has just begun but the message is already so big and so powerful helping kids who have completed the workbook and awakening their love and strength within. Our mission is to create a world where our children "Lovemore and Fearless" and how we need to do this is by bringing it in to our education system and supporting our children to come together and recognize how we love our self ultimately reflects how others treat us. Instead of separating the bully and the bullied and having the parents deal with the situation, bring the two children together in school and make them have to work together for 2 days and complete a small essay on how similar they really are. "I Lovemore Fearless" education piece teachers outline for grades 3 to 5 is almost done meeting all curriculum requirements. Please share and help us print, produce and get this message into all our schools and programs. Lets stop the increasing suicide rates and depression and anxiety our children are now battling more than ever. We are whole, we are complete, we are perfect most of all we are "LOVE"